The massive data leak of Cathay Pacific Airways has affected 9.4 million passengers. 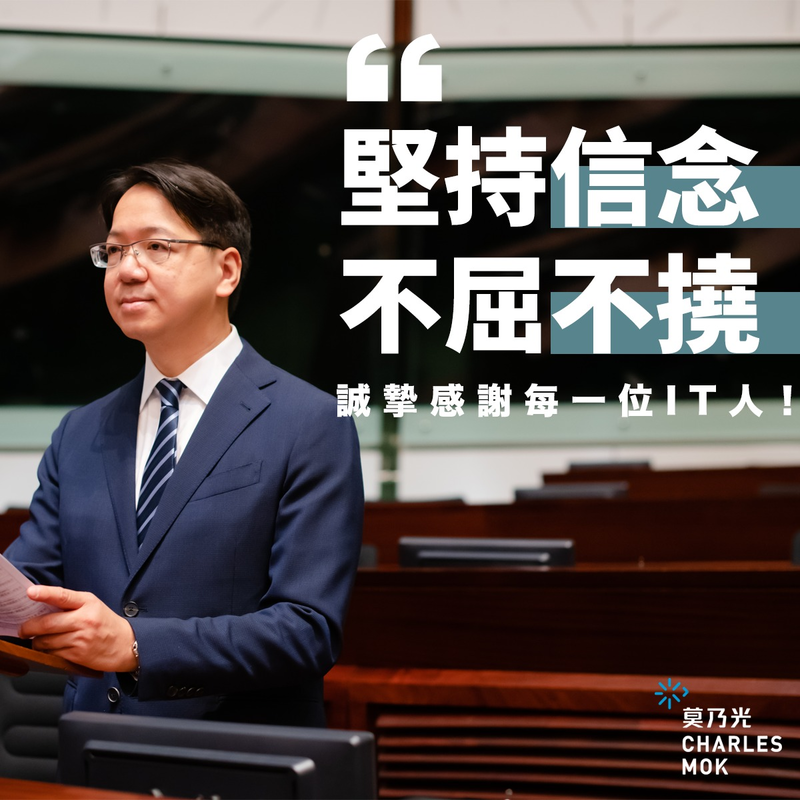 I urged the airline company to answer a series of technical questions at a joint-panel meeting in Legco in mid-November. During my duty visit to UK in September, I had the opportunity to meet with the representatives of the Open Data Institute and learn their initiatives on open data. This week, ODI visited Hong Kong and I invited the Office of the Government Chief Information Officer to meet with them and exchange on the latest works of the HK government and the trial projects undertaking by the UK government. The government earlier consulted the public on the arrangements for allocation and assignment of the spectrum in the 3.3 GHz band (3.3 – 3.4 GHz) and the 4.9 GHz band (4.83 – 4.93 GHz) for the provision of public mobile services and the related spectrum utilisation fee. I issued my response and in my submission, I called on the government to tackle the crucial problem of the 5G restricted zones in some areas in the NT East and Stanley. In August, I visited the San Francisco Bay Area with Civic Party lawmaker Alvin Yeung in a bid to acquire insights on Hong Kong I&T development. We published a report and a video to share with the public on some of the I&T policy ideas we gained from our visit. As we advance into the age of technology, our daily activities from commuting to shopping are all collected as data. While data analysis can lead to more effective municipal management, discussion on data privacy is insufficient. The Smart City Blueprint released by the government last year mentioned various measures on installing sensors for traffic control and water supply. The recent signal collapse incident of MTR raised concerns on our city’s crisis management in the face of major infrastructure failures. The new Policy Address continued to set out more funds but money-driven initiatives only benefit more for long term R&D and re-industrialisation but not so much for front-line tech workers and ICT companies. Facing a more complicated global economy and technology advancing in a fast pace, students and our workforce need skill upgrade to remain competitive, especially those with jobs that will be replaced by automated technology in the near future. Without transparency and data, it is challenging to monitor the bulk spending of the government and the outcomes of the policies and funds. The government announced a number of schemes on foreign talent import in recent years, however, are those initiatives creating more jobs and are they benefiting the prospect of our tech workers in Hong Kong? As an international city, it is not uncommon in Hong Kong for people using digital payment and new e-payment tools. However, we have yet seen the city entering into a cashless society. [Letter to HK] How to Become a Smart City?